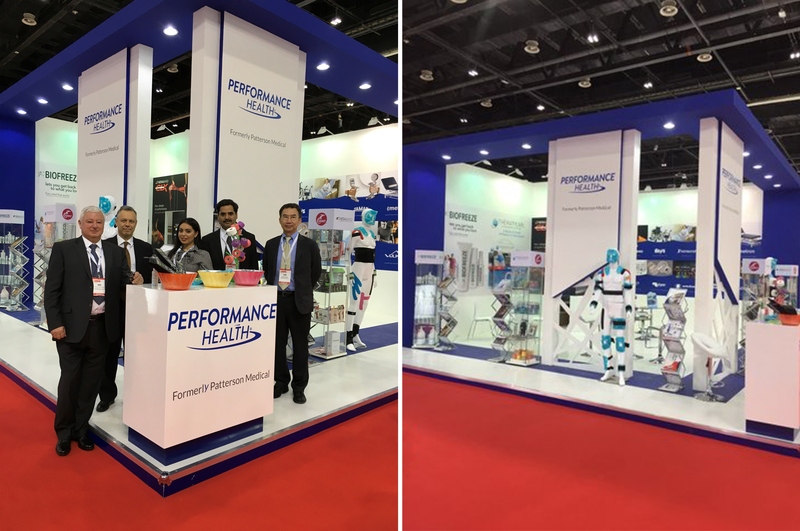 Performance Health participated in the Arab Health trade fair in Dubai, which took place on January 29th to February 1st 2018, exhibiting our Therapearl, Biofreeze, Theraband and Cramer brands to existing and potential new distributors as well as medical professionals and consumers. Our experienced International Distributor Business team were on hand to share product knowledge and expertise as well as discuss the benefits of developing partnerships with Performance Health as the World’s leading supplier of rehabilitation and medical solutions. We’d like to thank all delegates who visited us on our stand and contributing towards a highly productive week for our team at our first event in 2018. We look forward to attending next year’s trade fair, which takes place 28 - 31 January 2019. The Arab Health trade fair continues to be the largest gathering of healthcare companies, technology, products and services in the MENA region, welcoming more than 4,200 exhibiting companies and 103,000 attendees from 150+ countries.